Quick to install, cost effective and used by the industry leaders. You can rely on Fall-Pac. 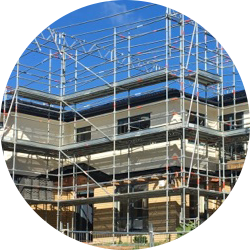 Fall-Pac (NZ) Ltd offer soft landing and safety net systems to NZ businesses and industries with a network of installers across both North and South Island. 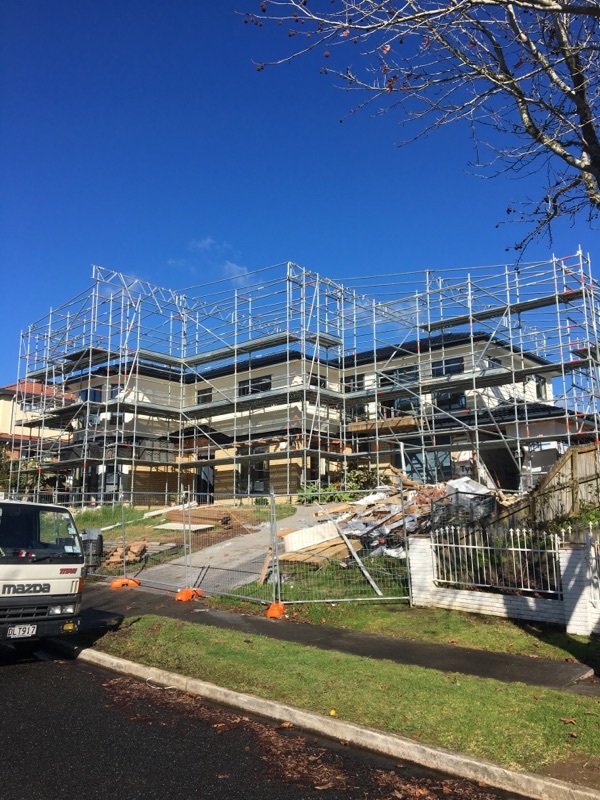 Formed in 2012, Fall-Pac (NZ) Ltd introduced soft landing systems and safety nets to the NZ safety market and have since added temporary fencing, scaffolding and stairway platforms, to give the most comprehensive package in the market place. Fall-Pac has the only fall bag compliant with the latest PAS 59 2014 test requirements. Fall-Pac are the contracted distributor for Oxford Safety stairwell platforms for NZ. Fall-Pac have the only tested system in NZ and can prove it! Fall-Pac have a full supply, install and dismantle solution for your scaffolding needs. We currently have 30-40 contracts running at any one time. 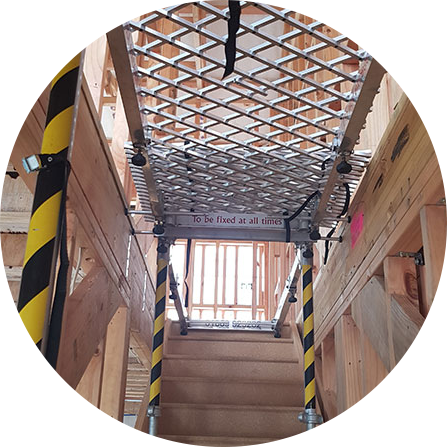 Our fall bags, unlike our competitors, comply with PAS59 : 2014 , safety nets to EN1263 , scaffold to AS/NZ standards and Stairway platforms to British standards.  Regular testing ensures the systems we offer comply with the legislative requirements. 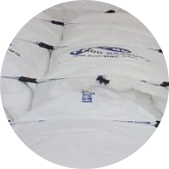 Our safety bags are polypropylene, manufactured to ISO 9001 standards, filled with chipped polystyrene pieces. (They are NOT airbags or beanbags). One layer of bags gives effective protection from falls up to 2.8 lm to the top of the bag, 2 layers up to 5.6 lm to the top of the bag. 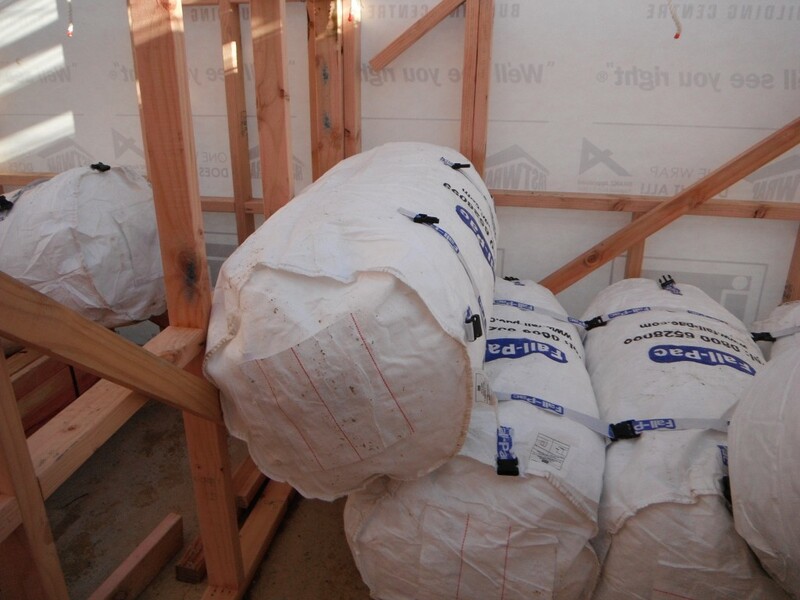 These bags are the ONLY bags in New Zealand to comply with the PAS 59 2014 Revision, airbags that are inflated and installed on site have been excluded from this standard and as such NO longer comply. This product has had fantastic reviews since its introduction to the market in Feb2018 with demand for the platforms growing weekly and now being used by the largest residential building groups in NZ. 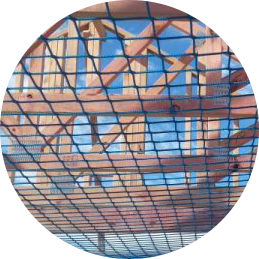 Over the last 12 months Fall-Pac and another party have been involved in drop testing safety nets, on a typical build in NZ, under the NZ conditions. 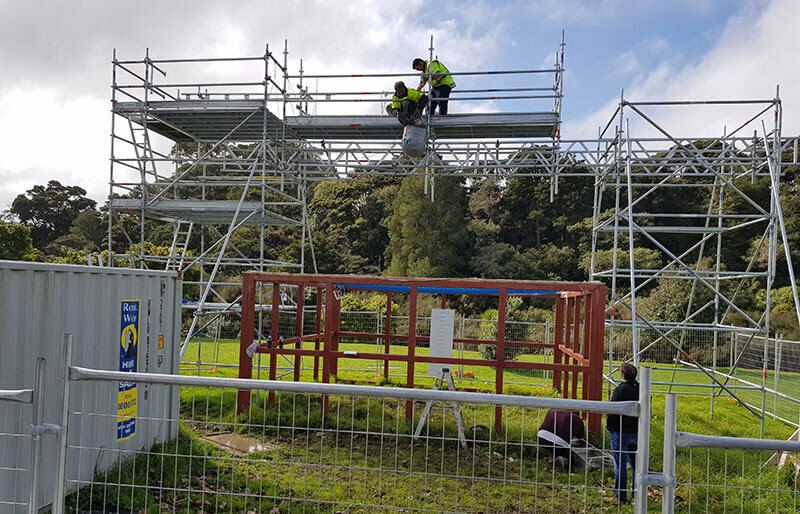 In conjunction with the engineering department of Massey University, we now have the only tested system in NZ and can prove it! Fall-Pac have a full supply, install and dismantle solution for your scaffolding needs. 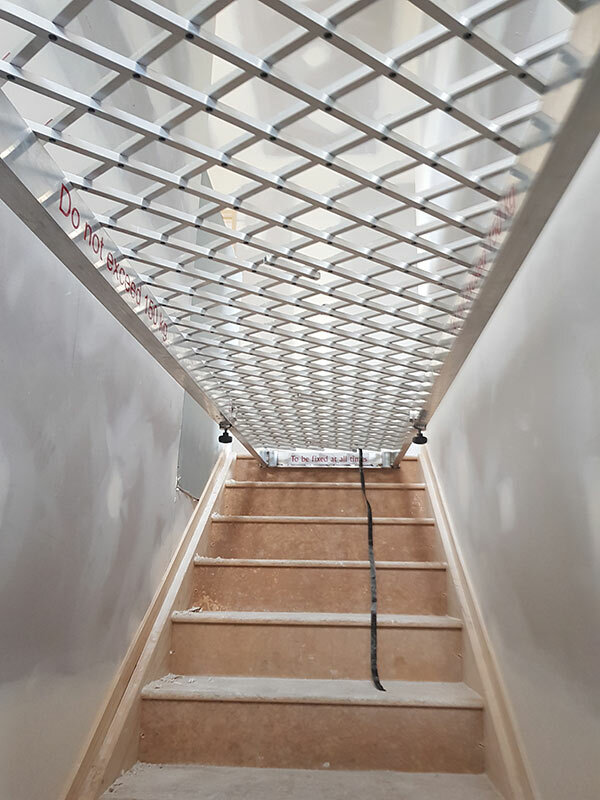 Qualified scaffolders and quality materials have enabled our growth into the market and we currently have 30-40 contracts running at any one time with more planned growth. For the four years that I have been dealing with Fall-Pac there has been excellent communication from Colin regarding upcoming work and scheduling. Project Manager, Fletcher Residential North.